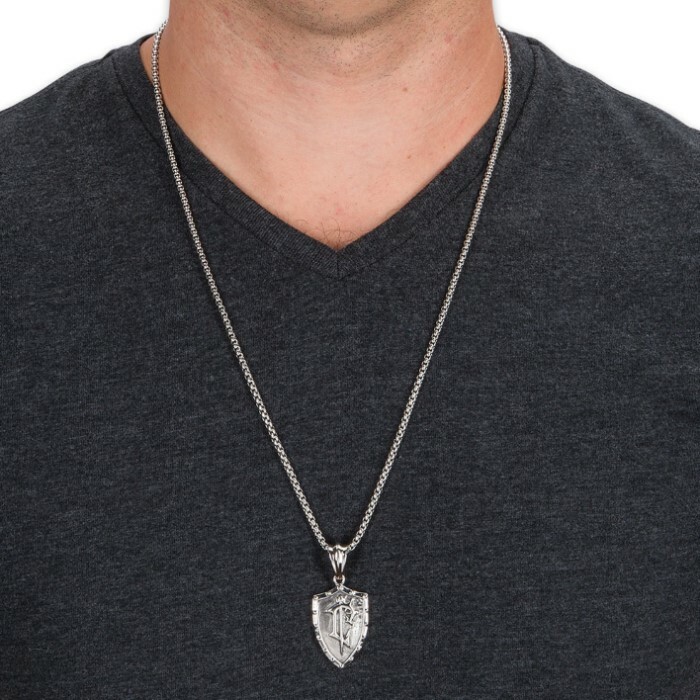 Celtic Pendant Necklace | BUDK.com - Knives & Swords At The Lowest Prices! 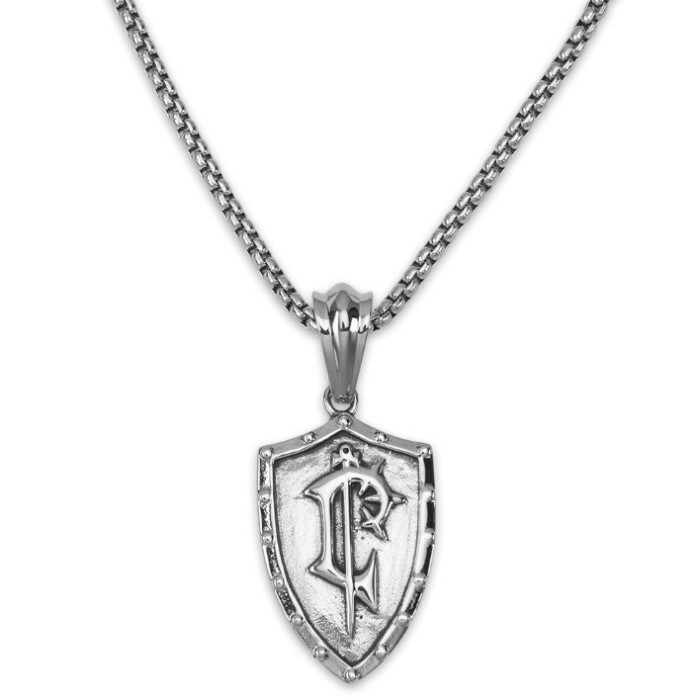 Celebrate your Celtic heritage in an elegant way with our Celtic Pendant Necklace! 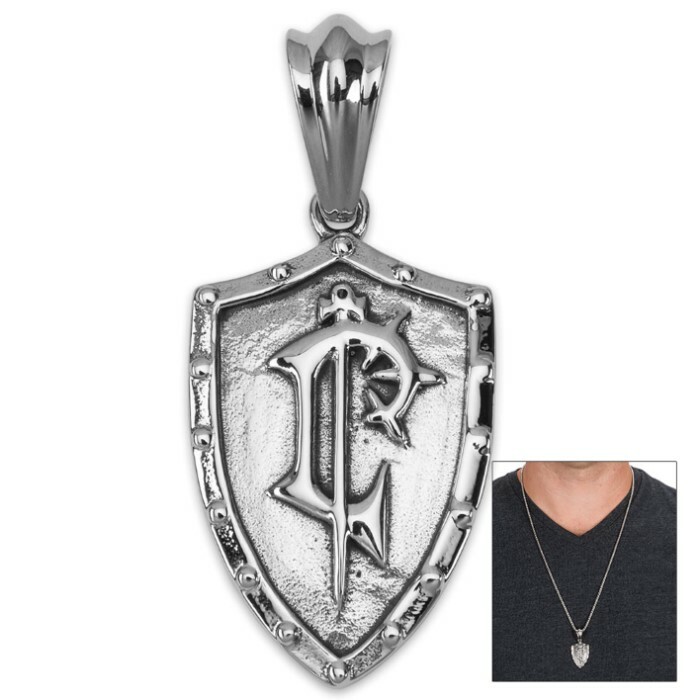 The pendant is crafted of quality stainless steel that has a high-polish finish. It is in the shape of a shield and has an engraved rune design. Not Celtic at all, but still great quality, as i'm a big World of Warcraft nerd. Only 4 stars because the chain it comes with it inter-linking metal rings that will rip your neck hair out all the time so it's pretty uncomfortable-- but damn does it look snazzy. Still though, highly recommend it, no blemishes or anything on mine, highly polished, good stuff. Alliance rep'r'zent.